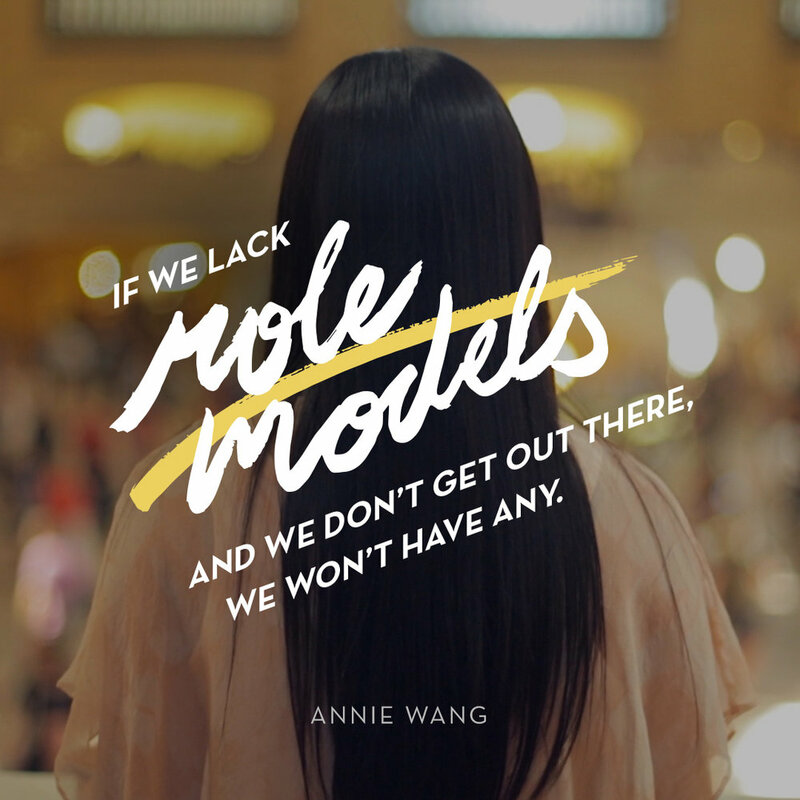 Annie Wang is, by all accounts, a brilliant badass. Less than five years out of her graduate program, she’s founded a tech company called Senvol that’s seriously disrupting the 3-D printing space. She has three degrees, including an MBA from the Wharton Business School — which is why it’s baffling that she sometimes has to prove her badassery to people. “I’m in a startup where my cofounder is male, and because of my science background, I’m actually a lot more technical than he is, and when we go to conferences, I find that whenever there is a technical question, people tend to actually face him and look at him while they’re asking the question,” she says. But if you look a little closer at the tech industry, it starts getting clearer why Annie’s presence (and brilliance) might be unexpected. You don’t even have to look further than three of the world’s biggest tech companies: at Google, 17 percent of tech jobs are held by women, Facebook has 15 percent filled by women, and women make up just 10 percent of all Twitter’s tech jobs. While women make up more than half of the professional workforce, we’re in just 28 percent of proprietary software jobs, only 25 percent of IT jobs — and a really dire 5 percent of tech startups are run by women. Neha Khera, the managing director of the Toronto branch of Girls in Tech, knows the struggle. “In terms of discrimination, it’s there, it’s subtle,” she says. “I had one interview where it was for a job on a trade floor, and I think he thought I was a male again, and when I walked in as a female, he was actually very nice (note: can you feel the sarcasm through your screen?) in explaining to me that the role probably wouldn’t be suited to me because I would be basically doing coffee runs and serving the needs of all the other trainers who were all men, and that the likelihood of me being hit on or treated disrespectfully, the odds were pretty well 100 percent, and did I really want to enter this environment? To be fair to that interviewer (though he’s not really about fairness, is he? ), that was about 10 years ago. And stats show that things are changing quickly. The top eight major tech companies are hiring women at a whopping 238 percent higher than they’re hiring men. And it’s not that they’re pushing men aside — it’s that there’s a whole new talent pool, half the world’s population, to choose from that the industry had previously largely ignored. The shift is thanks to initiatives like Innovation Women, an advocacy organization that’s working to solve the all-male panel problem the tech industry has. It’s thanks to Women of Color in Tech, which, among other advocacy, give out free stock photos of women in color working in tech, because visibility is important. So what’s the way forward? How can tech companies keep up their end of the fight? Neha says it’s about substance — making sure companies’ equitable hiring practices aren’t just about optics. Because women don’t want to be hired just to fill a quota any more than men who feel ‘discriminated against’ by quotas want them to be. The way forward is not just lamenting that there are no women in tech, because there are. So let’s showcase those women, in a way that empowers others, too. We know the names of guys like Bill Gates, Steve Jobs, Mark Zuckerberg, because we’re used to seeing white guys run the show. Let’s change that narrative. “Women are doing amazing things — let’s use them to serve as role models to the next generation,” says Neha. Who’s your favorite woman in tech right now? Give her a shoutout! Comment below or join the conversation in the official Dream, Girl facebook group.